Pioneers in the industry, we offer goods lift with independent fabrication, goods elevator, goods lift cabin, goods lift and goods lift machine from India. We offer a wide range of Goods Lift With Independent Fabrication that fabricated as per industrial standards with respect to size and dimensions. 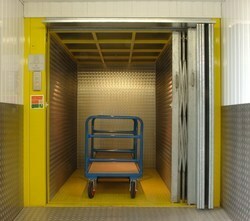 Our range of lifts is known forhigh efficient and high load bearing capacity. We offer these lifts at most competitive prices. We are offering a superior quality of Goods Elevator. 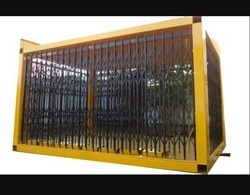 We are one of the well-distinguished companies in the market that is into providing Goods Lift Cabin. 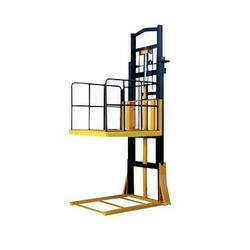 Goods Lift options offered to come in the precision constructed finish as per industry standards and suits working in different industrial working sites. Provide support for low-cost cargo transferring equipment. 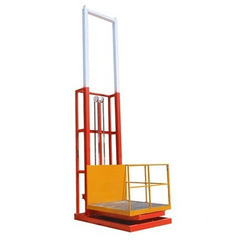 We are offering Goods Lift Machine to our Clients.